Looking for a rural residential and still want to stay close to the city. This is it! large manufactured home sitting on almost half of an acre with plenty of room to park your big trucks or RV. The home is located in a very private cul de sac location. There is a second back unit that has 2 bedrooms and 1 Bathroom potential income property. Perfect for the big family that would like to live together but at the same time enjoying their own private space.There is a total of 8 bedrooms and 5 Bathrooms. There is an additional estimated 500Sqft for the back unit.Nice Mountain Views. 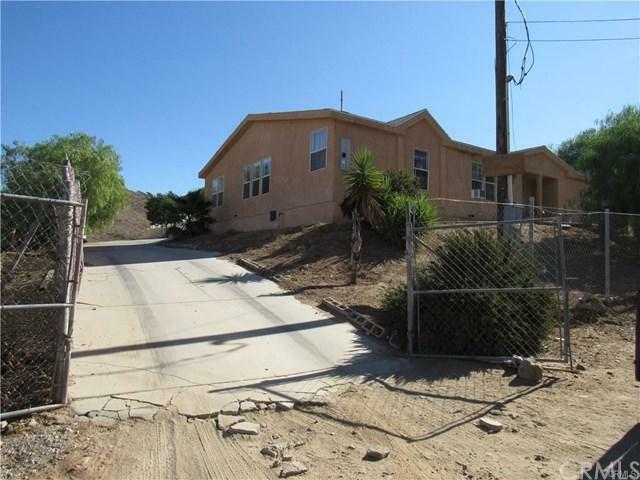 The home is located at the end of the street right by the foothill. you can have your own orchard and garden here there is plenty of space for both. It is connected to sewer and city water. Is a must see!